Porridge is the go-to breakfast for so many of us these days – especially the colder months of the year when you need something warm and comforting to start the day with. 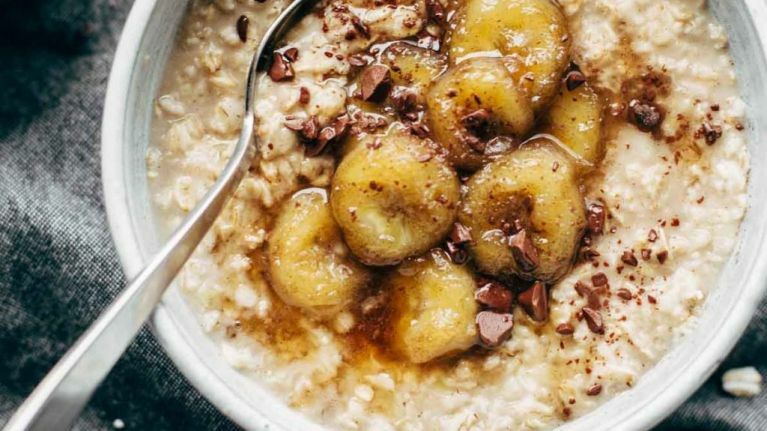 There are many ways to customise your morning oats, but this genius trick from the cookbook Whole Grain Mornings really takes your porridge to a whole new level if you ask us. Toast the oats in butter. Yup, that's right – all you need to do is melt a tablespoon of butter in a small saucepan, then throw in the oats. According to the book, the magic ratio is one tablespoon butter to one cup oats. Then, cooking, just stir every couple of minutes until the oats smell nutty and roasted. Once you hit that point, set the oats aside and proceed as you normally would. As in, bring the milk or water (or nut milk) to a simmer, add the oats and cook to your liking. It's hard to believe one little spoon of butter can make that much of a difference, but once you have tried it, you will see for yourself. It gives your porridge a rich and decadent flavour, and you might even find you no longer need honey or any other sweetener – it really tastes amazing all on its own.